An EBF Novice Stakes (Plus 10) over 5f 42y on good to firm going. Just five runners: two with race experience and a trio of debutantes. One Minute will be the answer to the question for many punters here. To be honest, you can't knock this strapping filly trained by William Haggas. This bay is a daughter of Kodiac and a cracking 2yo purchase at the breeze-up sales for £52,000. She made her debut in May racing over the minimum trip. It looked a tall order taking on a field of mostly colts, especially To Wafij, trained by Roger Varian, who had won well over course and distance. He had to shoulder a winner's penalty but One Minute disposed of him like a black widow spider looking for a Big Mac before a date. This January foal ran out an easy win by more than three lengths. The form of that race has been franked on a number of occasions. It is probably the case that To Wafij and Demons Rock went a stride too fast that day, while Elysium Dream needed an extra furlong which proved the point when needing every yard to win her next start. One Minute has to carry a penalty, which is a fair test even for a talent. At odds of 4/9f she will most likely be a banker for most punters who like to dig deep. That's all good and well. However, even the best horses get beaten often when you least expect. There may be a couple of outsiders worthy of respect. Philip McBride is a canny trainer. He is particularly good with his fillies and those running on their second start. Onefootinparadise is a bay daughter of Footstepsinthesand and a cheap purchase at just 2,000G. That price tag alone will put most punters off betting. There is no doubt she needs to improve on that debut. The form is no more than average but she suffered a terribly slow start and ran on with spirit. McBride gives the honours to an apprentice to take a valuable 5lb off her back. The betting is a key factor. We are looking at a big price chance but I wouldn't bet if this filly is priced over 20/1. However, if priced about 14/1 & less SP she could be worthy of a small each-way bet. Sovereign State is interesting. This bay colt needs to be primed to win on debut. However, I can be pretty confident this son of Compton Place has ability. Racing in the ownership of Qatar Racing Ltd, he looks a great breeze-up purchase at just £30,000. 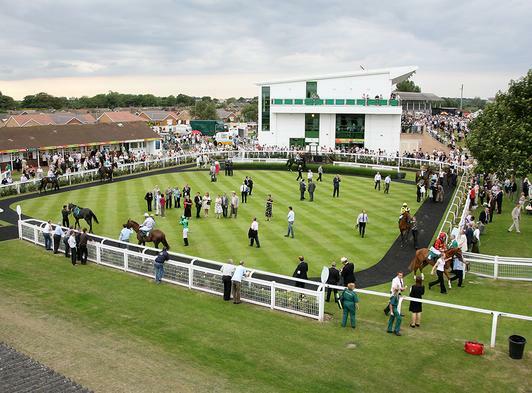 Readers may have noticed that Robert Cowell sent out an exciting filly to win the Hilary Needler Stakes at Beverley on debut. The Brian Yeardley Stakes for colts had a very interesting entry who didn't run. It was Sovereign State. That entry is a very good indicator that Cowell rates this colt and I suspect he will run a big race here. Viscount Loftus and May Girl are best watched. Conclusion: One Minute looks a filly going places and if winning here you can bet connections will be viewing Royal Ascot with interest. True, she will take some beating but whether you want to jump in at 4/9f carrying a penalty is another matter. If this was a donkey derby I would be thinking she is half way to a certainty myself but I would be fearful of Sovereign State. He is likely to have ability and we know from Cowell's past exploits that he can train a talent to win on debut. I would be fearful of this colt. Onefootinparadise looks a poor relation to these with regard purchase price but McBride is no fool. The betting will tell the story and if a huge price I would say look to the two favourites. However, if she is 14/1 & less SP she may be a little tougher than you think. If you are convinced the fvourite will win with ease, I'd have a small cover bet on Sovereign State just to help you sleep at night! Boris Johnson for Prime Minister?